The February 12-18 edition of The Economist reports on a technological advance that will have revolutionary implications for the production of almost everything. 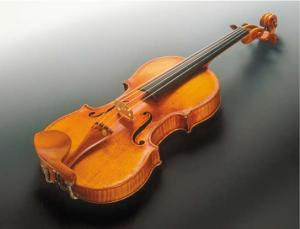 “Just as nobody could have predicted the impact of the steam engine in 1750—or the printing press in 1450 or the transistor in 1950—it is impossible to foresee the long-term impact of 3D printing” (“Print Me a Stradivarius,” The Economist, 2/12/11). The article outlines an “additive approach” in which “mass production” is replaced by “mass customization.” This sea change in the classic economies of scale by which capitalist enterprise functions will, according to The Economist, affect everything from urbanization to outsourcing and intellectual property. “When objects can be described in a digital file,” the article explains, “they become much easier to copy and distribute…” So, let’s say you have the idea for a new Halloween mask. Let’s say you call it “The Unified Theory” (patent pending) and let’s say “The Unified Theory” is based on Linda Blair’s head doing a 360 in The Exorcist . What a windfall! What a triumph of modern innovation! A mixture of the hell William Friedkin depicted in his cinematic version of the William Peter Blatty novel and everyone’s experience of an old fashioned Upper West Side literary party filled with wannabe intelligentsia. Here, in a form of prolepsis, you anticipate the wandering eyes of the person you are talking to by producing a facsimile of your own head— which is capable of doing a 360. Thanks to the wonders of 3D, you end up freaking out your potential tormentor before he has a chance to display his indifference to your very existence. For something similar, see the Einstein Hollow Face Illusion!